Wire shelving is a simple and easy solution to increase safety of your warehouse. Organization and efficiency are crucial for any company, and many savvy Maryland business owners are adding wire shelving to their warehouses to accomplish just that. While the average person may not see a huge difference between shelving types, wire shelving offers distinct advantages. What are the Benefits of Wire Shelving? Wire shelving is one of the most common materials-handling solutions and can be found in virtually every type of business throughout Maryland. From storing parts, such as those in an automotive shop or a tool room, to storing plates and linens in a restaurant to storing company files and documents, wire shelving is everywhere, and for good reason. One issue that many warehouse owners have to constantly deal with is shelving not being able to support large products and equipment. If you need to store something that weighs 500 pounds, you may think that you have limited options. Wire shelving units, however, can hold between 600-1,000 pounds of equipment or merchandise per shelf! This helps prevent you from leaving equipment and merchandise on the floor to accumulate dust and debris. Wire shelving is a simple and easy solution to increase safety of your warehouse. Aside from offering the strength you need to store big and bulky items, wire shelving also helps improve warehouse safety in another way. 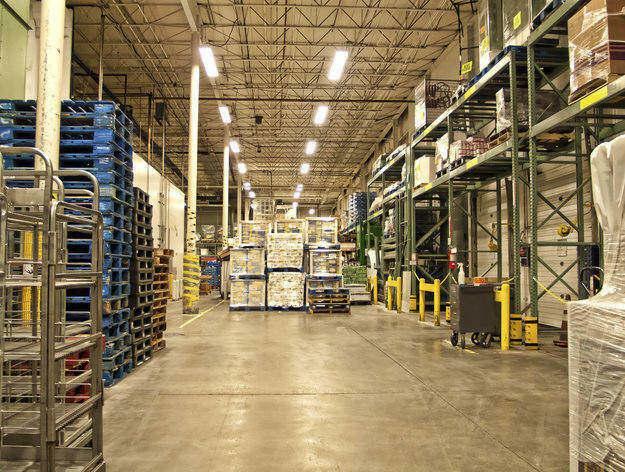 Because of the openness of wire shelving, light is able to more illuminate your warehouse, increasing visibility. There are many unique businesses in Maryland, and cookie cutter shelving units are not going to work when you need a custom solution. One of the biggest advantages of wire shelving is that it is highly customizable, and the shelves can even be adjusted to make the spaces larger or smaller. Wire shelving is also available in different finishes. You can elect for a chrome finish, stainless steel, black epoxy, or many other different styles of finishes to suite your exact needs. The shelves are easily assembled and easy to clean, and you can adjust them to allow for smaller or larger spaces. The S.W. Betz Company, Inc. has been providing businesses in Maryland and beyond with all of their essential Weighing, Material Handling, Dock, and Warehouse equipment since 1933. We are proud to be a preferred distributor of Nexel wire shelving, offering custom shelving solutions for the food service, industrial health care, and commercial industries. We offer wire shelving with a number of different dimensions, capacities, and finishes. If you have any questions about Wire Shelving, please contact S.W. Betz by calling 410-574-1414 or 800-332-0322 today! You can count on the S.W. Betz Company to work with you and provide you with our extensive knowledge of the industry. This entry was posted on Friday, August 7th, 2015 at 4:31 pm. Both comments and pings are currently closed.